How to Experience Halloween… Czech Style! To think of Halloween in the traditional American sense is to think of kids dressed up as witches and vampires, sweets, trick or treating, jack-o-lanterns and the Michael Jackson Thriller dance routine. Over the past few years, these traditions have also taken root in the Czech Republic. This year, you’ll probably see plenty of shops selling costumes, decorations and Halloween novelties. 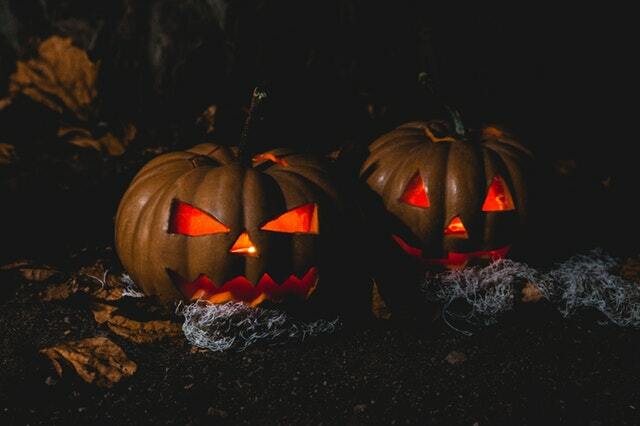 However, the Czech Republic has its own unique way of celebrating this festival, which just like the American Halloween, finds its origins in Celtic mythology. If you dislike the increasingly tacky and overly-commercialised nature of Halloween these days, the Czech way of doing things might be just up your street. The celebrations is not know as Halloween, but “Dusicky” (pronounced dushichky). This translates as something like “little souls”. In many cultures throughout the world it is believed that the boundary between the living and the dead becomes blurred as we enter the darkness of winter. Although in America and much of Western Europe, this is interpreted as a time when dark and malevolent spirits may try to creep up on us in dark alleyways, the Czech have a slightly less sinister take on this. 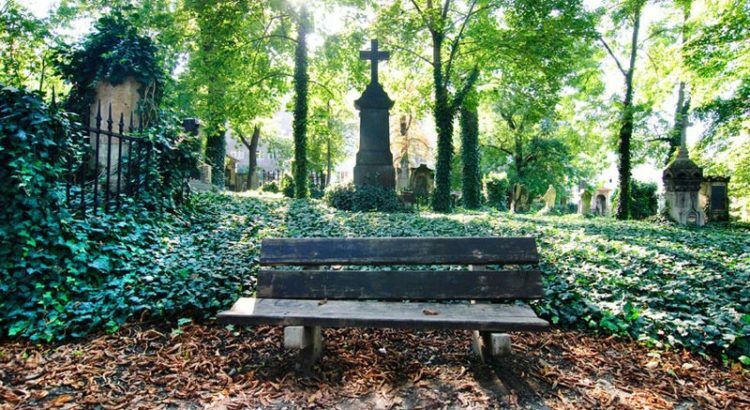 Czech people take this time to visit grave stones of family members and loved ones, as this thought to be the time of year when the dead are closest to us. People will usually bring flowers and candles to lay. It is also not uncommon for Czechs to take a shot of alcohol at the gravestone and drink to the memory of the deceased. It may sound a little morbid, but this is one of my favourite Czech traditions. 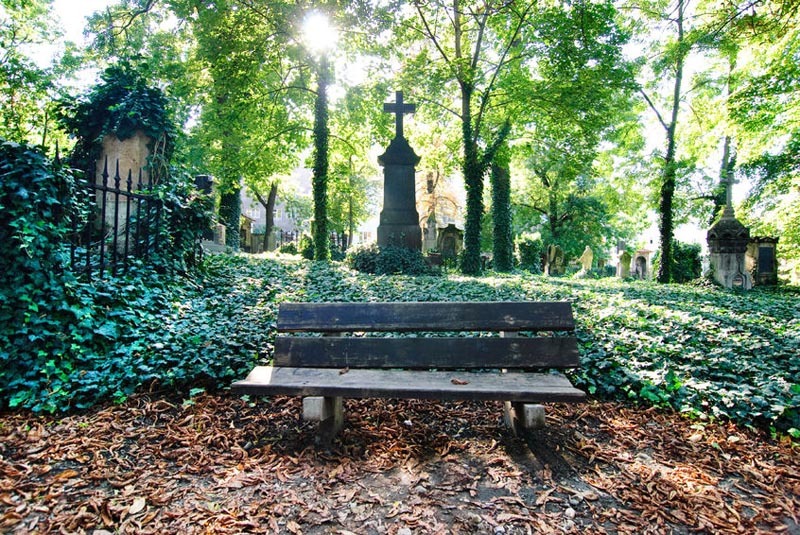 If you’re interested in seeing what it’s all about, whilst at the same time visiting some of the most beautiful and peaceful places in the city, it’s well worth paying a visit to one of Prague’s many cemeteries. This is the city’s largest cemetery and it’s a truly fascinating place. You will find grand family crypts and art nouveau masterpieces alongside neglected headstones and crumbling tombs. This is place where you will always be surrounded by the beautiful and the intriguing. 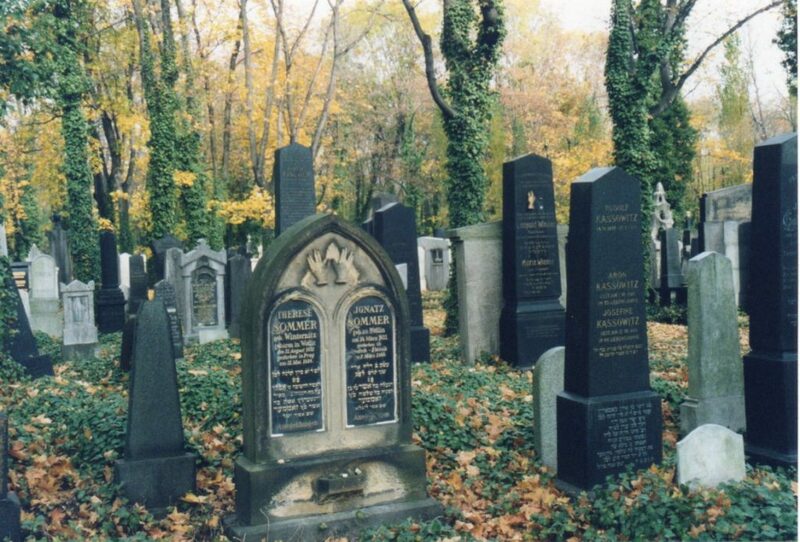 The cemetery is home to quite a few famous residents, including Czech writers, politicians and even Pavel Roman, who was the winner of 4 consecutive World Figure Dancing Championships. Arguably the most significant person to be buried here is Jan Palach, a student who set himself a light on Wenceslas Square to protest against Soviet invasion of Czechoslovakia in 1968. 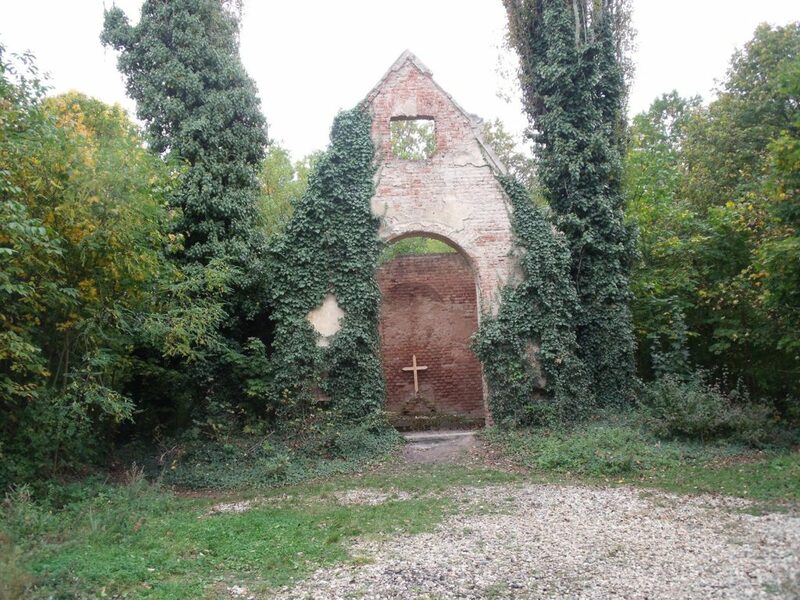 You will probably have seen the Old Jewish Cemetery listed in Guide books. However, the New Jewish Cemetery is also well worth a visit. It is here where arguably Prague’s most famous son, Franz Kafka, is buried. It is also home to some exquisite art-nouveau tombs and headstones. The cemetery is just over the road from Olsany Cemetery. So to get here, follow the instructions above. You will not find anything old or crumbling here, but this place is really not to be missed it you are a fan of art and culture. This rather grand cemetery is reserved for some of the most significant names in the Czech artistic community. Some of the most notable names to be found here are composers Antonin Dvorak and Bendrich Smetana, artist and sculptor Alfons Mucha and the opera singer Ema Destinova (who can be seen on the 2000CZK note). As you might expect, many of the tombs and headstones here are really something to behold. You will find the grand and the elaborate as well as smaller, but nonetheless unique headstones, which are simply works of art. After a tour of the cemetery, be sure to enjoy the stunning views over the city from Vysehrad hill. 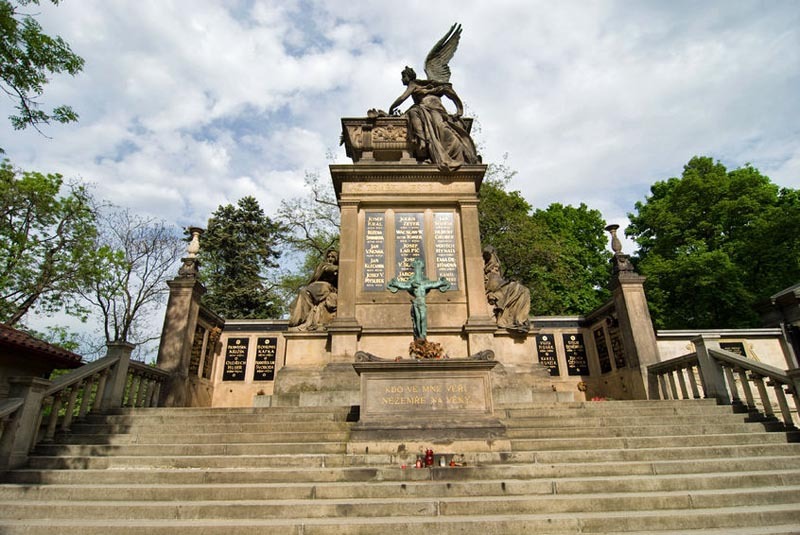 The cemetery is accessed by taking the 17, 18, 2, or 7 tram to the stop Vyton and then going for a short walk to the top of Vysehrad hill. There is no entrance fee and the cemetery is only open during the hours of daylight. This one is not for the faint-hearted. I recently visited this place, which has been called the scariest cemetery in Europe. You can find out more information about the cemetery by reading this article.